Always informed by your experienced input, this legend is constantly evolving. 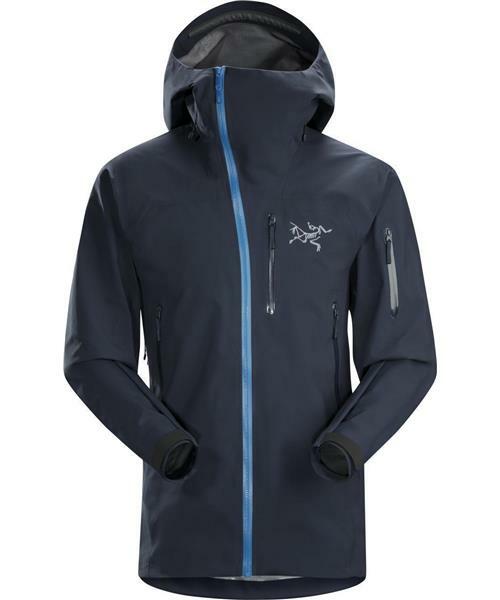 Exceptionally durable, lightweight and breathable Arc'teryx-developed N80p-X face fabric makes the Sidewinder SV Jacket winter abrasion resistant and fully weatherproof. The rugged and lean Sidewinder SV uses a layer friendly relaxed fit with articulated e3D patterning for full range of movement. Outfitted with a durable WaterTight™ Vislon zipper, a modern silhouette, and an integrated stretch-panel powder skirt equipped with Slide 'n Loc™ snaps. Updated WaterTight™ pit zippers are pack compatible and easier to use for rapid ventilation. The iconic asymmetric flap is updated with a new system to control the collar when the jacket is partially unzipped.